Singapore-listed property group CapitaLand has acquired a prime site in Hanoi for its first integrated development in Vietnam which will be worth US$217 million ($285 million). The upcoming 25-storey development will sit on a 0.9 hectare site. It will comprise a 380-unit residential component, 230,000 sq ft of office space, and 208,000 sq ft of retail space. 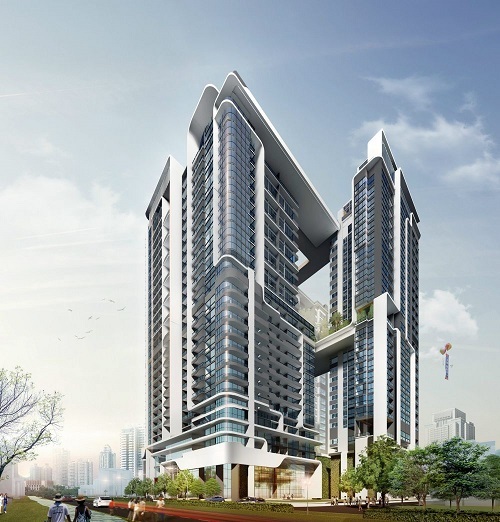 The development is located in the Tay Ho district in a prime waterfront location. It is close to the city’s diplomatic district and new government offices headquarters, the United Nations International School, as well as the expatriate enclave of Xuan Dieu, says Chen Lian Pang, CEO of CapitaLand Vietnam. Vietnam is a key growth market for CapitaLand, and it sees strong demand for vibrant, quality live-work-play spaces with rapid urbanisation and the evolving lifestyles of young and mobile Vietnamese, says Chen. The new development will attract young Vietnamese urbanites, MNCs, and local start-ups. CapitaLand sold 1,409 residential units in Vietnam last year, with record sales of $459.6 million, surpassing 2016 by 63%. Its latest residential launch, d’Edge Thao Dien in Ho Chi Minh, was sold out in under two months. The upcoming Hanoi development will expand CapitaLand’s portfolio to 12 residential developments, one integrated development, and 21 serviced residences, totalling 4,700 units across six cities in the country. Separately, the developer set up its second commercial fund in Vietnam, CapitaLand Vietnam Commercial Value-Added Fund (CVCVF), which has closed at US$130 million. CapitaLand will hold a 50% stake with the balance held by MEA Commercial Holdings. The fund will have a life span of eight years, and focus on Grade A commercial properties in Vietnam. The group is close to their five-year target to grow assets under management (AUM) by $10 billion before 2020. As at end Dec 2017, CapitaLand has $948 million worth of gross AUM in Vietnam.